I sleep with a Teddy Bear I’ve had since I was six years old. Yes, I said sleep with it. The bear is ragged, permanently stained, and missing fur in certain parts. But still, I love her, and I can’t get a good night’s sleep in my bed without having her tucked against me just so. Maddie always wanted to cuddle the bear. I was always quick to hand her one of her own toys. I wanted her to have something that brought her comfort the way my bear brings me. And honestly, I didn’t want to share my teddy bear. I look back now and I feel like such a terrible person. My little girl just wanted to cuddle something that her mommy obviously loved. I wouldn’t let her. Because I DIDN’T WANT TO SHARE A STUFFED ANIMAL. What a horrible mom. Thinking about it makes me sick to my stomach. A couple weeks ago, Annie was awake in the middle of the night thanks to some major teething pains. She was impossible to soothe, which is to be expected when you’re popping through four teeth at once. After holding her and walking around the entire apartment, I laid her down in my bed so I could rest my arms for a second (girlfriend is heavy). I bent down to stretch my back, and when I stood upright I realized Annie wasn’t crying anymore. Her eyes were closed, with her arms wrapped around my teddy bear. I looked at her for a long time. Her little hands gripped my bear’s arm, her fingers rubbing a bald spot. She inhaled deeply and sighed, and I saw sleep take over her features. She slept with her mommy’s bear in her arms all night. Teething pain was a distant memory. I wish I could go back in time and let Maddie hold my bear. I wish I knew why I was so selfish. I wish Maddie was still here, so I could give her my bear as she slept. Oohh Sweetie…you’re not selfish! Many of us have some regret. Please try to forgive yourself. Maddie was & still is ssoo loved! She wouldn’t want you to be sad & so hard on yourself and either do we! xoxo Sending you lots of friendship, hugs & support!!! I imagine Maddie had YOU to cuddle…and really, can an old stuffed bear compare to her mama? I think not. Regrets. We all have them. But in your case, I seriously doubt Maddie would have picked that old stuffed bear – no matter how great you think it is – over you. You always did right by Maddie. Don’t ever forget that! “I seriously doubt Maddie would have picked that old stuffed bear – no matter how great you think it is – over you. “….I couldn’t agree more with this statement. Heather, please do not do that to yourself. You are an amazing mother. You took my breath away too. We can all be reminded to be less selfish. And also that Mum’s need to hold some things back for themselves, maybe even just a teddy bear, in order to be selfless most of the time. I am sorry you feel regretful about it and glad you get to share it with Annie. I don’t think a day has passed when Maddie was not loved or felt love. I’m sorry about the regrets. I hope they are followed by good memories. I read your blog before I hopped in the shower. Elvis Presley’s “Teddy Bear” ran through my head the whole time. Oh please don’t let yourself go down that road. I have read some many wonderful things that you have done for both girls. Please take a nice deep breath and know that you are a wonderful mother. Oh Heather, I think the last thing anyone would think of you is selfish! You are a wonderful loving mother and your girls are lucky to have you as a mom. I still sleep with a stuffed animal and I’m 31. It’s strange how something so small can be such a comfort. Please don’t beat yourself up over this. There is nothing wrong with wanting something just for yourself, even if it is just a stuffed animal. Moms give SO much all the time and I think know matter how much they give there is always going to be something else to feel guilty about. I’m an aunt with custody of my niece. I give and give and give and yet I always have something else to feel guilty about. Maddie was loved beyond belief and she knew that. If she had lived she wouldn’t have even remembered that moment you regret, and now that she’s on ‘the other side’ the materialistic part of our world doesn’t concern her. I think I’ve told you before about my husbands lovey, his ragged, very old doggie pillow. He doesn’t share it with Maya. He feels like it is the one thing he shouldn’t have to share. You are not alone in wanting to keep something for yourself. Maddie didn’t think you were selfish, she probably didn’t even give it a second thought. Oh… I have a bear, too. My husband gave him to me just after we started dating and I’ve slept with it almost every night for close to 12 years. I don’t let the boys have it either. They’ve slept with it once or twice, generally when they’ve felt really badly. I have another bear that sits on my bed and I’ll let them have that one any time. It seems to work for them. If it says anything about what a sentimental dork I am, I sent my teddy to a bear “hospital” last year to be cleaned, repaired and restuffed. It might have been silly, but it was worth it to me. This post made me a little misty. Achingly sweet. I wish you could give Maddie your bear too. I wish she and Annie could fight over it and maybe even pull an ear off while tugging it back and forth. My daughter is 2 and I think about you guys a lot when I’m dealing with her, wondering, “Would I regret this if I lost her? What would I wish I’d done if I lost her?” and it affects my parenting behavior. Please keep writing and making us all better parents. Annie looks adorable with your bear though! I think we’re all a little selfish by nature, even with our children sometimes. Just yesterday, I made myself a giant bowl of grapes, and sat down with the intention of eating them all myself. Then 2 of my kids came over and wanted a few, and I found myself saying, “okay, but just don’t eat them all,” and instantly felt bad. For one thing, I should be glad that they wanted to snack on grapes, for another, wouldn’t a GOOD mother give her kids all her grapes? I must be a terrible one, or at the very least, a hungry one, because I NEVER want to share my food with them. I get grumpy about it, too. I understand. I am not in your shoes but if I were, I would feel the same way. You are NOT selfish, but I would feel the same way. We all have regrets, but please don’t beat yourself up. You gave all of YOU to Maddie, and that’s all she ever needed. That picture of Annie is precious. Beautifully written. I totally agree with TamaraL. This post made my heart hurt for you, Heather. You inspire me to be a better Mom to my boys. Please know you are an incredible Mom. Those photos of Annie are fantastic. What a darling! Heather – obviously you would offer your left arm to either of your children if you believed it would offer them some comfort. We all know this, your “in real life” friends know this and, on some level, I know YOU know this too. This is the danger of grief – becuase we can not make new memories with someone we pick apart every single detail of the time we did spend together leading to regretful moments like these. Ultimately though, take comfort in knowing that Maddie is SO loved and your time spent together was filled with so much joy, love, hugs and kisses. You are not selfish. She smells you on that bear and it comforts her. Your bear is comforting her because it smells like her mommy. We are selfish because we don’t understand the gift of life we have been given. It seems endless, not fleeting. It seems we have all the time in the world, not over in a second. You didn’t share your bear with Maddie because you didn’t understand. But NOW you do. Now, so sadly, you do. And because you do, we all do as well. Maddie’s gift to us all is to make us understand that life is meant to be shared, grabbed up, loved in the moment, no holds bared. And that is what you will pass on to Annie. Annie’s life is enriched because of her sister’s gift. You say you want your daughter to find her own precious thing to give her comfort. Looks like Annie found it. You’ll be sharing that bear from here on out. Maddie’s gift to you both. You made me cry. At work. Hang in there, Heather. You are a great mom. Don’t let anyone, including your powerful grief, convince you otherwise. Love from one of your most admiring readers. You weren’t selfish; you were just human. A teddy bear isn’t indicative of how much you did or didn’t love Maddie; you loved her, she knew it, and her life was filled with that love. Never doubt that, or yourself. It breaks my heart that you are beating yourself up about that. You are an amazing mommy to both of your girls, and I guarantee that Maddie felt nothing but extraordinary love from you always. The last picture of Annie’s hands on the bear is amazing! As a photographer-wannabe, I’m wondering if you used a flash….the lighting is perfect! No matter what happens in life there are always going to be the “I wishes”. It’s unavoidable, no matter what decisions we make. I’m sure the girls just saw how much mommy loved the bear and associated it with YOU. I’m sure it has mommy smell and comfort all wrapped up in a bear package. Because really, you are what’s important anyway. You are the furthest thing away from being a horrible mom. Dont think it for an instant. We all have Mommy guilt. Please, hon, don;t be so hard on yourself. I know that is easy for me to say…I am so sorry that you feel this way at all. I am even sorrier that Maddie isn’t here to tell you it’s ok…but if she were, I’ll bet she would. We can’t possibly know what life has in store for us, Heather. You weren’t being selfish. Maddy had you and there is no regret in that. I still sleep with my 2 cherished stuffed animals from childhood. They’re so ragged and delicate, I can’t imagine that when I have kids I would let them play with/cuddle my stuffed animals either. I wouldn’t want an arm to fall off and the stuffing to fall out. I think it doesn’t make you selfish to have a cherished comfort animal that you want to keep to yourself. But I’m so sorry you have that regret about Maddie and your bear. We all learn from our experiences. Even if Maddie was still here you would do things different with Annie because you learn from being a Mom. Try not to feel guilty. I do things different with each subsequent kid because I learn from my mistakes. I hope you can find some peace with this thing about your bear, and just focus on how much Maddie taught you in such a short time. BIG hugs to you!!! Oh Heather you were the best mother ever to Maddie, please don’t beat yourself up over not letting her hold your bear. Maddie always had you to hold, and cuddling you was more special than a bear. Don’t ever regret what you gave Maddie because you gave her all the love a mother could give a little girl, and you still do. And you do the same for Annie. I still sleep with my teddy bear (a winnie the pooh that was waiting for me in my crib when my parents brought me home from the hospital). my daughter has been trying to get her hands on him since she came home from the hospital and I have have worked hard to keep them apart. like you it is partly selfish (he’s mine!) and partly that I love him and he does comfort me and I want her to find something that brings her comfort. I will think twice about keeping him safe from her sticky toddler hands next time. Look at all the wonderful things you did give Maddie. She had a beautiful life and you should be so very proud. Please do not beat yourself up. Oh, this post is so heart-wrenching. You are NOT a horrible mom. I think the notion that once you become a mom, you instantly morph into a combination of Jesus, the Buddha and Mother Theresa, unfailingly generous and sweet and perfect in every way, is so silly and damaging. Of course you’ve had less-than-selfless moments as a mom, moments you’re not proud of–you’re human! There is no such thing as a perfect mom, but Heather–you’re as close as they come. It’s so apparent that you would do ANYTHING for your daughters. Nobody with eyes would ever, ever think you selfish. Ever. It hurts my heart that you feel sick over this. I wish so much that Maddie could be there to hug you and assure you that she has the greatest mom ever. Oh, Heather. This post breaks mt heart. You are absolutely not a horrible mom. I imagine Maddie is smiling at her baby sister cuddling the Teddy bear because it reminds her of you. Hang in there. Maddie is missed and loved. I also had a teddy bear that I sleep with. The bed just feels empty when I don’t have my teddy bear tucked under my arm. Those pictures of Annie was awesome! When Jake was in the NICU the nurses would have me and Evan hold stuffed animals for a day and then the next day put them into Jake’s isolette. The nurses said that our scent would be calming to Jake – so Annie is definitely on to something. I still regret not spending ever minute that he was alive with Jake (because he was only alive 2 weeks). I had a c-section with some complications and I had to rest too. You are not selfish – sometimes we have to do things to take care of ourselves too. If you did not get sleep you would not have been able to take care of Maddie as well as you did. Take care. This breaks my heart in one way and that is.. you beat your self down about not sharing you bear with Maddie. I have a thumblina doll that still works and Im very protective of it, not that I have a daughter to share it with. . It doesnt mean your a mean mom. Your a very neat , loving ,kind person and I wish I had done some of things you do with your kids. I cant take back time… The pictures of Annie with your bear melts my heart. She felt your Love in the bear and it comforted her!! A million things come to my mind when I read this. How many things would any of us change if we could read the future? How many hurried “Just a minute!” or “Not right now!”s would I change if I knew that tomorrow my child wouldn’t be there? How many times would I reject my daughter’s request to lay down with her at night or rush through our nightly prayers? You’re human, and not sharing your bear with Maddie didn’t ever lessen the love she felt from you. But I understand how you might beat yourself up…we all would. No mom can be 100% perfect…constantly giving of every amount of time, energy, or bears. Maddie knew you loved her. Her infectious smile is proof that you never truly held anything back when it came to loving her. I just hope Annie will let you have your bear back someday. She’s already very comfortable with it!! I sleep with a bear too. And be kind to yourself, you’re not selfish. It makes sense to me that becoming a mom didn’t mean you didn’t still want this comfort. Annie is just clearly your second child. With Maddie, you were still new and feeling out parenthood. With Annie, you’re ready to do more of these kinds of things that were difficult at first. I realize though that this is so so painful, because Maddie’s not here physically to go through these changes with you. But she is though, in spirit. The photo’s of Annie are precious. So beautiful. I’m sure she gave your bear and extra hug for Maddie. You are SO SO NOT selfish. All of us MUST have stuff we have for ourselves – I have a bear MY Daddy gave me when I was 17 and had to have a biopsy for a lump in my breast and I was scared to death. It was benign. My Dad has the beginnings of dementia – you think I am sharing that bear with ANYONE? Even if a grandchild came along?? NO WAY. And that is NOT selfish. My daughter is 24 and finally out of a rough patch. Almost the roughest. Of her own doing. We did NOT mortgage our house to get her out the of rough patch. She had to do that herself. And if she HADNT I would not have regretted it because enough people told me that she had to bear the cost to make survival worth it. Believe me, we did pay a cost too with so much fear and tears . . .but thank the Lord she has been on the right path for about 3 years now . .
And now, when she makes some request that I turn down because I just dont feel like doing (and when she tries to make me feel guilty) I DONT because you have to protect you and allow yourself to have special things too. Oh my Gosh Heather – you gave her your heart. She didn’t/doesn’t need your teddy bear. Her arms were full of you two. Try not to beat yourself up, Heather. I have a Mr. Bunny and I don’t like when my daughters touch it either. I will give in at times but I don’t like it. Maddie knows how much you cherished her. Awww Heather – you made me tear up! We all have regrets. All of us. The only thing we can do is to parent our children the best way that we know how. Who knows – maybe Maddie was the one who put the teddy bear in her sister’s arms last night. You just know she’s watching out for her baby sister. As mothers, so little in our life, even our own bodies, seem like our own anymore. It’s not at all surprising that any of us would want to keep something to ourselves, especially something as precious as your bear. You didn’t share because you had no way of knowing that Maddie would not grow to find her own lovey. You could not imagine that she wouldn’t be around. You didn’t know and you couldn’t know so please don’t punish yourself for it. You’ve been through enough. God bless you and your sweet family. Oh my – I am sobing – I am so sorry! I know that Maddie was so loved by you and was hugging YOU not the bear, do not feel bad – you are NOT selfish YOU ARE NOT! I have done the same thing, but with a blanket it is MINE … I am sorry you are hurting and thank you for sharing! Next time one of my babies asks for my blankie I will share! This is totally random. I was reminded of your blog post tonight. I am watching Gilligans Island with my son. Thurston Howell also sleeps with a teddy bear. :). As parents, we give so much of ourselves to our children. It is perfectly natural (and healthy) to want to keep a few things ours. I’m sure you feel more regret because Maddie isn’t here. But I really wish that you wouldn’t beat yourself up or think you are a terrible mother…you are an incredible mother. One that I look up to and strive to be more like. 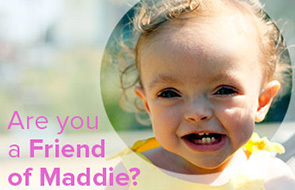 You gave Maddie and continue to give Annie so much love – a teddy bear isn’t going to change that. P.S. The pics are beautiful. As parents (especially as mothers) we give sooo much to our children that at some point early on in the life of our first child we feel overwhelmed and (consciously or subconsciously) reach a point where we feel the need to draw some boundaries, We’ve sacrificed our bodies, patience and sleep to the care of our child and, though we wouldn’t have it any other way, it DOES get exhausting. When we’re tired we get irritable, territorial, etc…It makes total sense that you wanted to swap out your own bear for one of the (I’m guessing) dozens of stuffed animals that Maddie had and loved. You’re a wonderful mama. I hope you can let go of the guilt, because you don’t deserve it. The notion that you were selfish is ludicrous. You were not, NOT selfish. You gave her your heart. It was what she really needed, and you gave it to her. And it’s because you love Maddie so much that we all know her and adore her too, and are so deeply moved whenever you talk about her. Please, if you can, let go of this little piece of your hurt. You were not selfish ever and I happen to think you are one of the best mommies out there! I do have to say while reading this I was thinking what a great gift Maddie has given her sister, so many gifts really for all of us. Love to you all! Oh Heather, you aren’t selfish. There’s nothing wrong as a person or a parent telling your kids something is precious to you and they can’t have it. You weren’t to know what was going to happen. Don’t beat yourself up about this. We all do the best we can in any situation and yes we might do things differently with hindsight but we don’t have that, we can only do what is right at the time. I agree–Moms give so much all of the time that it’s ok to have something to yourself every now and then. That doesn’t make you selfish. You gave her, and continue to give her, what’s most important: unconditional love that knows no boundaries. I know how it feels to have regrets. Sometimes it is so hard not to get swallowed in them sometimes. This post breaks my heart. Heather, you are and always have been an incredible mother. The fact that this particular memory haunts you proves that. If, as a mom, the worst thing you ever did to Maddie was not share a raggedy bear, then you should never second guess the mother you were to her. That baby girl radiated love and happiness, and that is not what a child with a horrible mother does. My girls are much older, and I do often think, My God, if something ever happened to her, I’d never be able to live with myself. I’d naturally remember the bad times and regret, regret, regret. And I adore my kids, and they adore me and we have a great life. I just know from losing loved ones that your mind always goes to what you SHOULD have done differently. As always, you guys are in my prayers. Big hugs from TN! Aww sweetheart, as hard as this is to say, if Maddie had lived you wouldn’t have remembered not letting her hold the teddy, the regret you are feeling is grief, just be glad, in every second, that regret is a reminder of how much you loved her. Maybe it’s because your Teddy Bear was tied to your youth. Your single-gal-no-kids life, and you subconciously wanted it to still be yours. Tied to your past (not that it means that you weren’t happy with current Motherhood, at all. This is just what I think. I could be entirely WRONG). I wish Maddie was here with you, so she could cuddle with you, Annie & Mike. No Teddy Bear needed, because that’s a whole lotta love there. Those photos of Annie cuddling your bear are awesome. OMG those pictures, and sending hugs your way.